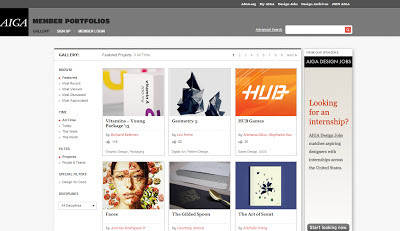 We just wanted to notify you that one of your projects was just featured on the AIGA Member Portfolios Gallery. a few that promote new thinking. in the AIGA Member Portfolios Gallery.